He carries death...and a shovel! The writer of Pontypool (Tony Burgess) and the star Stephen McHattie have a old is new again fantasy horror throwback called Hellmouth. 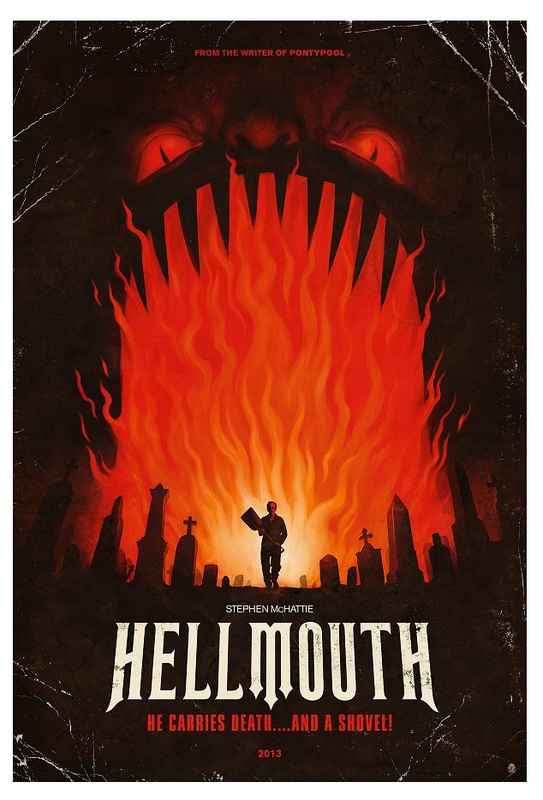 HELLMOUTH is a harrowing story of one man’s torturous battle with the world’s most horrific ghouls and ghosts in a graveyard that turns reality into outer world fiction. Starring Stephen McHattie (300, The Watchmen, A History of Violence), Siobhan Murphy, Mark Gibson (Exit Humanity), Julian Richings (Cube, Superman Man of Steel) and Boyd Banks (Dawn of the Dead). HELLMOUTH is directed by John Geddes, who created Exit Humanity.